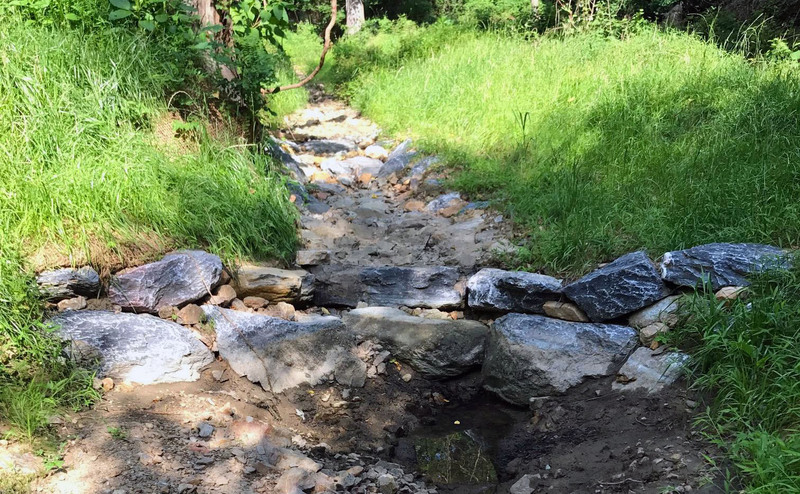 If you have been walking along Sligo Creek recently, you may have noticed some of the many water quality improvement projects. 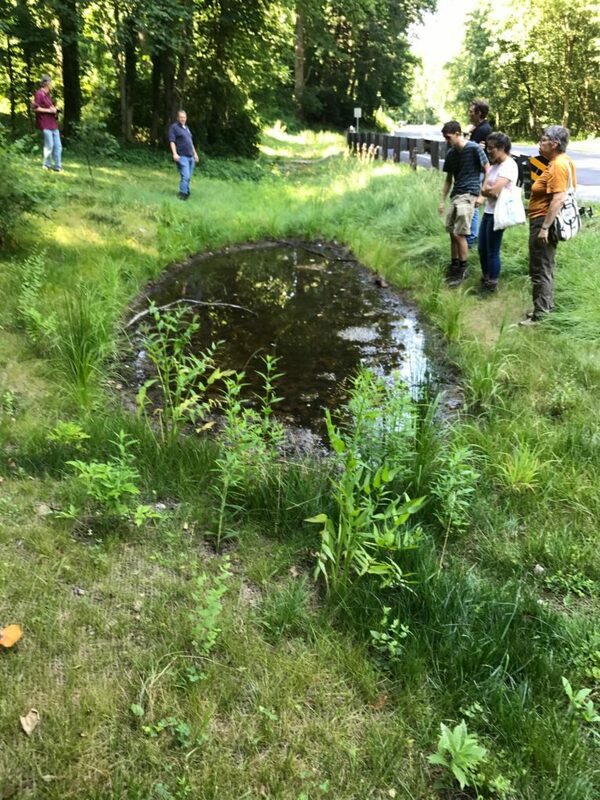 Recently, Andy Frank and Matt Harper from Montgomery Parks led a tour for representatives of Friends of Sligo Creek showing some of their stream tributary restoration projects. While the projects will not be completed until the fall, they are already having a positive impact on the creek. One main objective of these projects is to improve the hydrology along Sligo Creek. Improving the hydrology involves slowing down, spreading out and soaking in the “flashy,” hot, polluted stormwater runoff flowing from streets, roof tops, parking lots, driveways and other hard surfaces in the surrounding communities. Once the rain soaks into the ground, it can slowly flow into Sligo Creek as cooler and cleaner baseflow long after the rain has stopped. Steady sources of groundwater flowing (baseflow) into Sligo Creek is important for improving Sligo’s aquatic habitat. Parks projects included restoring the riffle (flat stony stretches) and deeper pool structures and adding infiltration zones along many of the small tributaries flowing into Sligo Creek. The restoration projects also included restoring the streambed “grade” (or lifting the streambed levels) along the tributaries and adding fabric curtains underground to help restore the groundwater levels in areas along the creek. As a result, much more stormwater runoff from the surrounding streets is now soaking into the ground and being released slowly as baseflow into the creek. 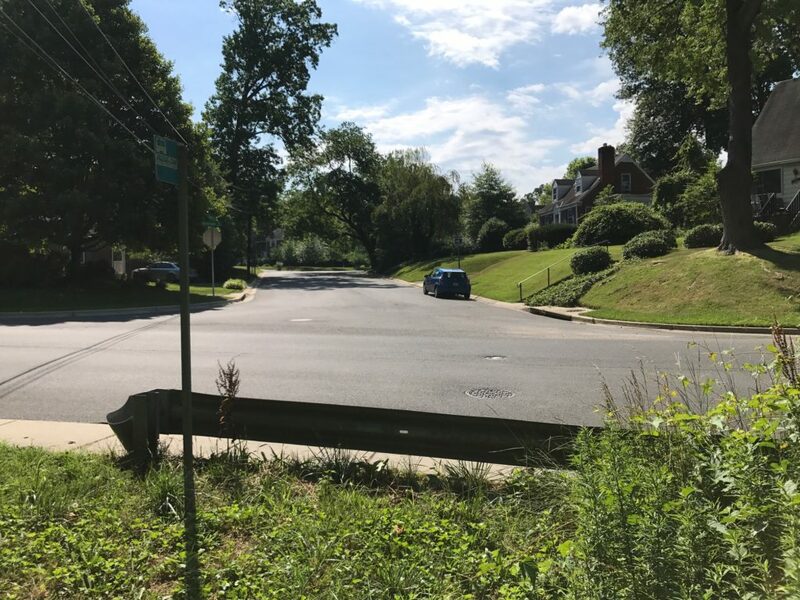 Before the restoration of the “Roswell” tributary, when it rained in the summer, hot polluted runoff from Rowell and Tenbrook Drives would suddenly gush into Sligo Creek and contribute to the periodic fish kills along the creek. When it stopped raining, the tributary would quickly go dry. Roswell and Tenbrook Drives were the source of stormwater into the creek. During the tour, we were able to witness a remarkable transformation. Despite near drought conditions, instead of a dry streambed, cool clean water was flowing in the “Roswell” tributary into Sligo Creek. The “Roswell” tributary restoration included “lifting the tributary streambed” and restoring the riffles and pools along the tributary. A small wetland pond also formed that was fed by a small spring. At the Inwood tributary, runoff from the Inwood neighborhood is diverted by a large Ash tree log into an infiltration area shown in the background of the picture below. The infiltration area is a depression in the ground where the rain collects and soaks into the soil (good soil percolation). Large Ash tree branches were added to the depression to help create habitat for a healthy ephemeral pond. During the fall, winter and spring, water is present in the depression. By creating a healthy habitat in the ephemeral pond, mosquitoes have not been able to breed because many predators are also present. 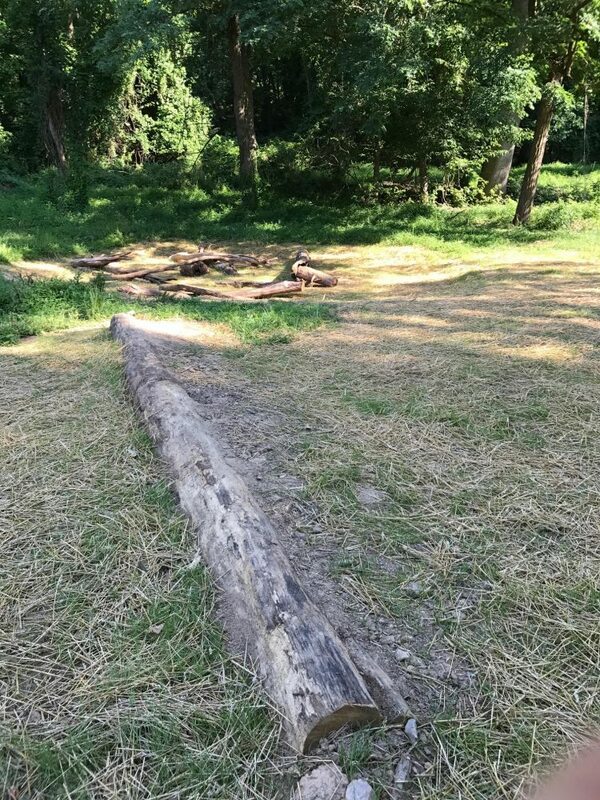 The Inwood tributary restoration project also included “lifting the tributary” by restoring its grade and adding the riffle and pool structures. Plantings are scheduled for later this year along the Inwood tributary. Since it was very dry, the stone riffle and pool structures could easily be seen. 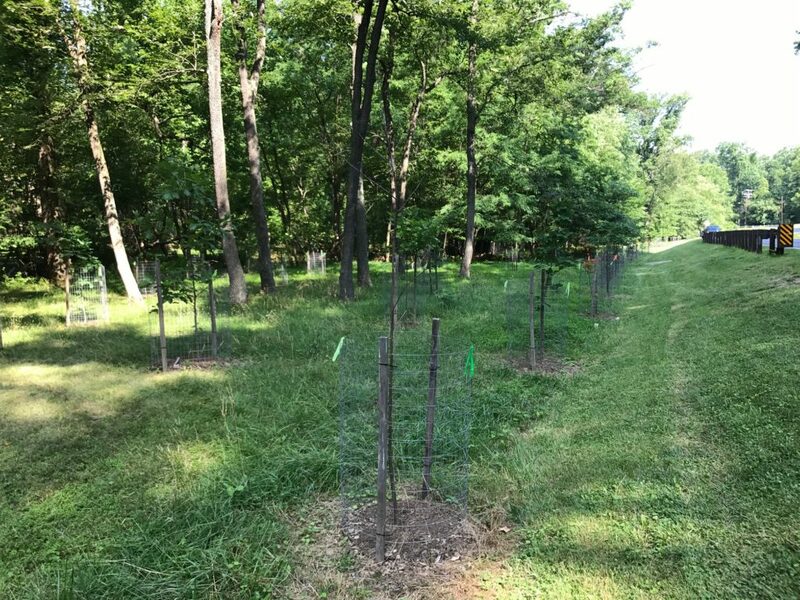 Along Sligo Creek Parkway near University Boulevard, trees were recently planted as part of the reforestation required as part of the Kemp Mill Urban Park renovation. Tree roots help improve the infiltration of rainwater into the ground. Additional projects are planned for this winter, including the restoration of the Windham Lane tributary. Montgomery Parks is also open to implementing additional restoration projects along the park. There are promising indications that Sligo Creek’s health will continue to improve. The restoration work at the University Boulevard Stormwater ponds and the Breewood Tributary has had already had a positive impact. 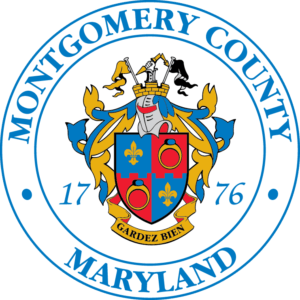 Continued improvements, however, cannot depend solely on Montgomery Parks. According to Andy and Matt, we need more Green Street projects in our communities. We also need to engage many more homeowners to become good stewards of their properties. By working together, we can see a brighter future for our creek and the surrounding communities.